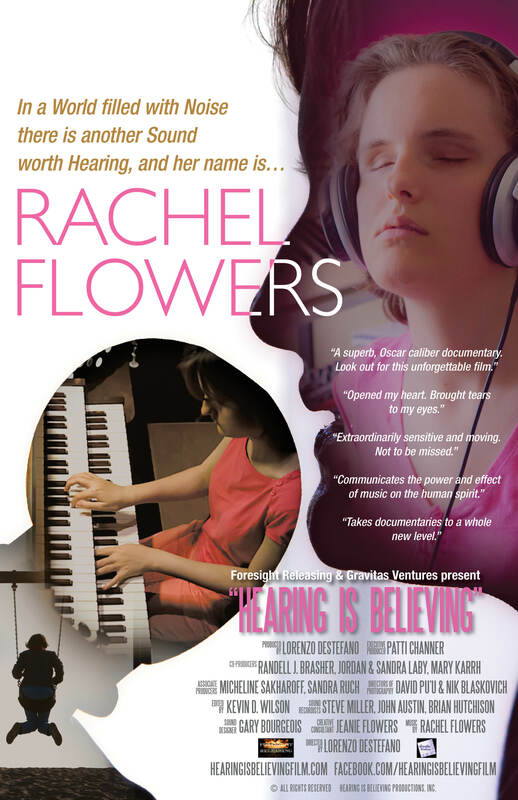 Hearing is Believing, a new documentary directed by Lorenzo DeStefano, introduces the world to the young musician and composer Rachel Flowers. She was born 15 weeks premature and soon lost her eyesight. She began playing piano at two years old and started her musical education at the age of four. Flowers has performed for artists such as Ray Charles, Quincy Jones, and Herbie Hancock. She is a very active part of several jazz lineups in California and is currently composing original songs and works for orchestra, jazz combo, piano, and voice. She is also the recipient of many awards, distinctions, and scholarships, including a Stanford University Jazz Residency and Los Angeles Music Center Awards. Hearing is Believing is described in a press release as a “dynamic and engaging portrait of two years in the life of a tight-knit American family, a single mom and her two kids, living paycheck to paycheck in Oxnard, California, with Rachel’s stunning music as the soundtrack. The film revels in Rachel’s joyous and free-flowing love of song, illuminating the bonds of family and the divine mysteries of creativity.” The film also features such artists as Stevie Wonder, Arturo Sandoval, and the late progressive rocker Keith Emerson, among many others.